Okay so, between reviewing and actually buying makeup, I woke up and realized most of my products are from Lancôme. This brand has definitely stole my heart in the pass few months! My love at first sight moment with Lancôme had to be when I was searching for a foundation. As you know, shopping for foundation (especially as a women of color), can be tricky. You go to your local drugstore to potentially find a your shade and you realize the undertones are funky, the darkest shade is two shades darker than your average pale individual and then you realize you have to spend a bit more. The Lancôme Tient Idole Ultra was definitely a “YouTube made me buy it “purchase. The undertones and array of shades available made me interested because I have a warm yet gold undertone. It’s weird, but I found my shade (470C)! This foundation is long wearing, medium-full coverage, comfortable to wear and gives a matte velvet finish. I don’t see myself changing for a while! 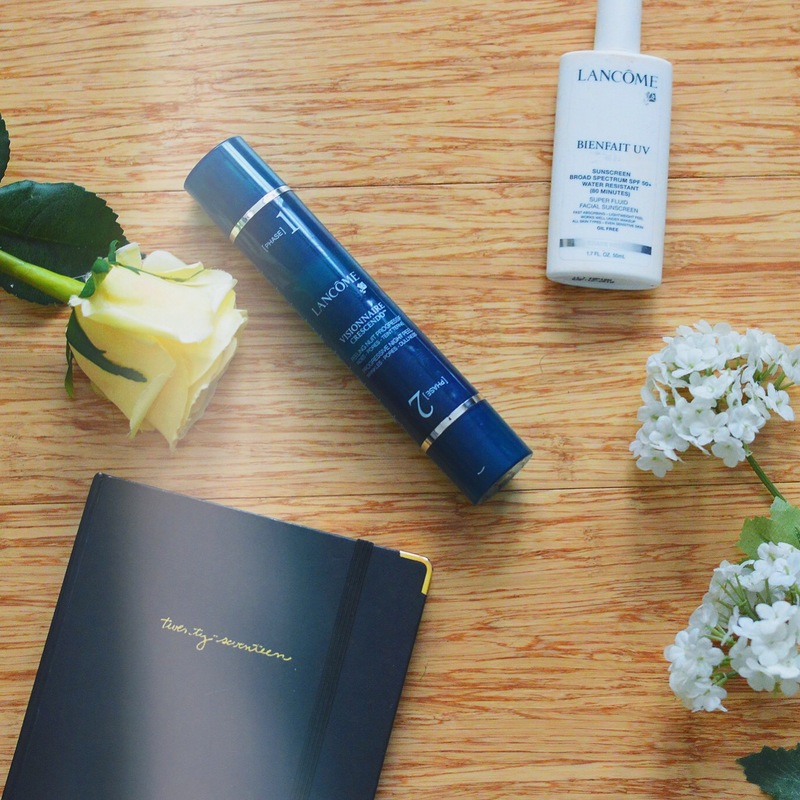 Last month through Influenster, I was able to try the Lancôme Bienfait UV SPF 50+. After learning that black people aren’t exempt from skin damage from excessive sun exposure, I was on the hunt for a good Facial Sunscreen (and God provided through Influenster lol). I love this one because it doesn’t give me a white cast, it’s oil free, light-weight and you’re able to wear it under your makeup! Give it a try ladies. Looking for a matte lippie with a non-drying formula? If so, you need to check out the Lancôme Matte Shaker Liquid Lipsticks! Besides having the most adorable packaging I’ve ever saw, the saturation of color and the comfortable wear is amazing. The shades are also build-able so that’s a plus. Last but not least, I tried the Lancôme Visionnaire Crescendo Dual-Phase Night Peel. I was always interested in a chemical peel done and it was great that this peel can be done at home! It was a tad bit expensive, but I loved the results. I did a full on review on my YouTube channel, so def. go and visit my channel.